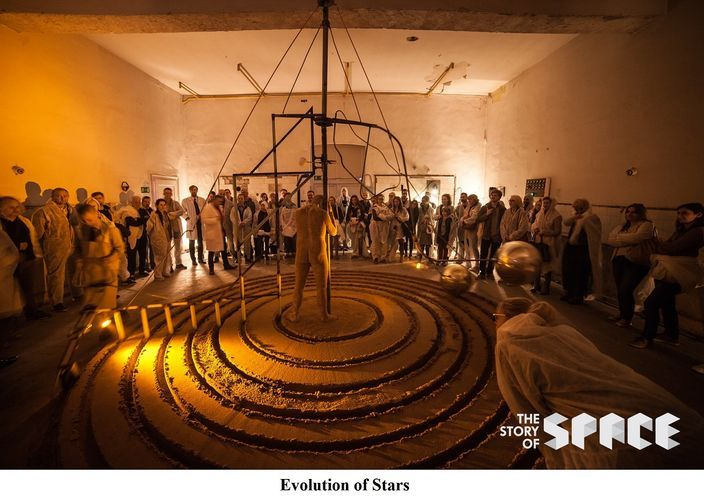 The Story of Space follows 2015’s successful The Story of Light Festival, which was made a reality by 62 artists from 12 countries, and the organisational skills and conceptualisation of Jaya Ramchandani and Nash Paul D’Souza. The interactive interdisciplinary learning endeavour garnered a sizeable number of visitors. Earlier, Goa was chosen as the venue for The Story of Light for its favourable artistic and cultural climate, and locations that provide appropriate spaces for the progression of the various components of the festival. 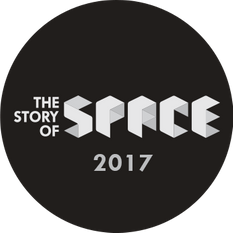 This year too, The Story of Space, which has been underway since the 10 of November 2017 in Goa, will wrap up on the 19th of November. ‘The Story Of’ Foundation, which has been registered under The Societies Registration Act 1980 since 2014, continues with its scheme of informal learning through a number of media, such as photography, films, text, sculptures, dance, theatre, poetry, and drawing; focusing on projects related to physics, politics, perception, and philosophy. The festival’s 72 projects are the result of the labour of artists, scientists, researchers, educators, and philosophers from India, China, Japan, the UK, the US, France, the Netherlands, Poland, Brazil, etc. The project includes live experiences, a film programme, installations, workshops, talks, and panels to arouse and satisfy the intellectually curious mind. Some of the installations include Breath by Ana Bloom, where photographs of water-submerged humans struggling to breath presents an alternative perception of the individuals concerned; and Missing Women an interactive, multimedia installation by Flora Barros, Helena Wolfenson, Veronica Deviá that seeks to explore women’s relationship with space in the context of gender roles, social stigma, and so on. Akash Sharma and Snehal Thomas Jacob, the founders of the sound research laboratory Sound.Codes (Mumbai), have acoustically mapped 45 heritage and cultural sites in Goa and have archived the same at Fundação Oriente. Their installation, The Acoustic History of Goan Heritage, provides a live experience of the acoustics of heritage landmarks. The workshop Space in Relationships by Rachana Patni Pereira, which commences on the 17th and ends on the 19th, caters to the over 30s crowd. It is meant to discuss questions on the constitution of space in relationships, the parts of space that are important to us, our experience of space, etc. Nick Sayer’s workshop Capture the Sun with a Six-Month Pinhole Camera on the 19th, will provide an understanding of the varying perception of the passing of time and the seasons with the use of a long-exposure camera to do the recording. 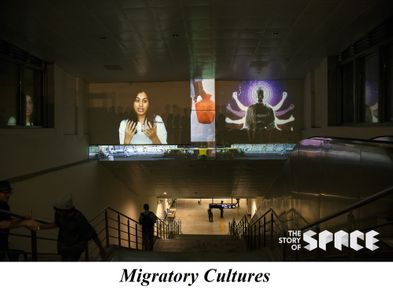 The live experience of Migratory Cultures, an art project involving the San José State University in the Bay Area, California, and Srishti Institute of Art, Design and Technology in Bangalore, presents immigration stories from countries such as Russia, Mexico, Bosnia, Pakistan, Japan, Vietnam, and so on, through imagery. A number of short films will be shown from the 17th to the 19th at the Goa Science Center. Inner Space (for children) will feature Cornice, La Folie, and Blackboard, which tells the story of an illiterate boy becoming the educator of a slum, among other films. 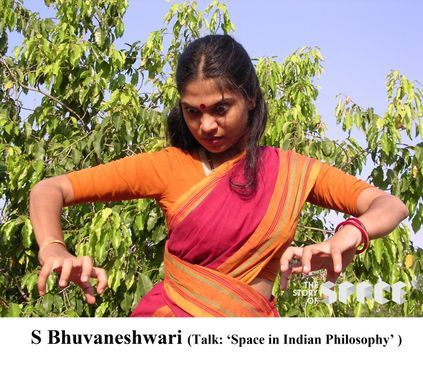 Talks during the festival comprised ‘Space in Indian Philosophy’ by S Bhuvaneshwari and ‘NASA’s New Horizons Mission to Pluto and Beyond’ by Dr. Henry Throop, as well as others. The panel discussion ‘Psychology of Waste’ had speakers talking about various questions related to waste, looking for solutions to the mounting waste problem. Herpetologist Nirmal Kulkarni’s talk ‘Living with Pythons’ was related to his programme of the same name to increase awareness of India’s three python species: the Indian rock python, the Burmese python, and the reticulated python. The Corporation of the City of Panjim, the Department of Art and Culture, the Department of Science and Technology, Fundação Oriente (Goa), Alliance Française (Goa), and many other organisations, institutions and departments were instrumental in the materialisation of The Story of Space. ‘The Story Of’ Foundation plans to have its next festival, Story of Mind, in 2019.